You say we [reporters] are distracting from the business of government. Well, I hope so. Distracting a politician from governing is like distracting a bear from eating your baby. Tory Historian is expecting lots of angry comments. Today is the anniversary of the Duke of Gloucester, ascending the throne no more legitimately than his immediate predecessors or his successor, as Richard III. The details of his reign are less important than the propaganda that has blackened his name since the sixteenth century on. He is regarded as a usurper (as were Henry IV, Edward IV and Henry VII) and a man who disposed of all his opponents (as did all the Lancastrians, Yorkists and, particularly, the two first Tudors). In particular, he is seen as the murderer of his two nephews, the Princes in the Tower. Available evidence on that deed (again, hardly unusual for the period) points as much to Henry VII as the villain as to Richard III. Ah but Henry VII, who had no rights to the throne whatsoever and he knew it, won the war, had himself crowned and, just as his son, systematically disposed of anybody and everybody who might have had a better claim and who simply opposed him. The two Henrys were considerably more efficient than Richard in this respoect and they and their dynasty, consequently, survived. It is not the various political innovations that were truly the Tudors' achievement, as much of that had been started by the Yorkist kings, but by the efficient and skilful use of propaganda. The court historian Polydore Virgil, the courtier (until his coscience got the better of him) Sir Thomas More and the playwright who knew which side his bread was buttered on, William Shakespeare produced a vivid but villainous figure of the evil, monstrous, hunchbacked usurper. Interestingly enough the whole Shakespearian sequence of the Wars of the Roses is considerably more balanced than the last play in it and it is notable that Shakespeare never managed a play about Henry VII. In fact, the worst episode in the entire cycle is the murder of the Rutland, the Duke of York's youngest son and the witch-like Queen Margaret's taunting of the captured general with a napkin dipped in the boy's blood. Margaret, herself responsible for much of the trouble that undermined Henry VI's reign, is, of course, a Lancastrian. Once we get to the last play, Richard III, all nuances disappear and one can see why. The Tudors were, rightly, uncertain of their rights to the throne and had to paint their immediate predecessor as a usurper. The first two Tudor kings were not precisely popular and their memory, even in Elizabeth's day, was far from rosy so the immediate predecessor had to be a double-dyed villain. And so he has remained largely to this day though not for all. In Tory Historian's view the best analysis of the problem of the Princes in the Tower is in a novel, Josephine Tey's "Daughter of Time". We all know that science does not develop in a straight line. Well, most of us know that. We also know that consensus in science is not necessarily a good thing. In fact, consensus in science is almost always wrong. Think Galileo, Louis Pasteur and Joseph Lister among many others. Do we know, however, how very complicated scientists' attitudes are to the world around them? An interesting example has appeared on Tory Historian's horizon. Three-century-old manuscripts by Isaac Newton calculating the exact date of the apocalypse, detailing the precise dimensions of the ancient temple in Jerusalem and interpreting passages of the Bible — exhibited this week for the first time — lay bare the little-known religious intensity of a man many consider history's greatest scientist. 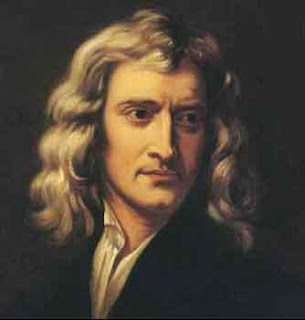 Newton, who died 280 years ago, is known for laying much of the groundwork for modern physics, astronomy, math and optics. But in a new Jerusalem exhibit, he appears as a scholar of deep faith who also found time to write on Jewish law — even penning a few phrases in careful Hebrew letters — and combing the Old Testament's Book of Daniel for clues about the world's end. That would be Isaac Newton who was one of the greatest and most revolutionary scientists in the age of enlightenment, which truly wrenched historical development out of its accustomed groove. Well, well, well. You just never know. The Serjeant at Arms has unfortunately notified us of a change of venue for the Douglas Hurd meeting tomorrow (Tuesday) starting at 6.30pm. If you are attending, please note that the event will now take place in Committee Room 17 (which I think is in the Upper Committee Room Corridor) in the main building of the House of Commons. For those coming from outside, please enter the building via the St Stephens Entrance. Please allow enough time to get through security. Do NOT try to enter the building via Portcullis House. Tory Historian is covered in shame. Call for the sackcloth and those ashes. This blog did not mention the ending of the Falklands War with the surrender of the Argentine forces on June 15. Oh the shame of it! No, Tory Historian has no excuse. Instead, there are a couple of pictures. One of our lads celebrating in the Falklands 25 years ago and one of the fly-past today in London. Tory Historian was fortunate enough to see the helicopter fly-past (was Prince Andrew piloting one of them?) but, sadly, not the Red Arrows. Sigh. Maybe next time. Was John Buchan a Tory or a Conservative? Of course there can be no doubting of John Buchan as a Conservative. He was one of Lord Milner’s young men; he was a great Empire man, believing in its future as well as its past; he was, of course, a Unionist; he was Scottish Unionist MP for Edinburgh University from 1927 to 1935. Beyond that he was a man who believed in public life, in ambition, in bettering oneself for one’s own good and that of one’s country. A son of the manse, he became a successful lawyer, writer, politician and, finally, Governor-General of Canada. The question of whether he was a Tory or not arose in Tory Historian’s mind on re-reading the splendid “Huntingtower”, first of the Dickson McCunn stories. Mr McCunn is a highly successful Glasgow grocer, who sells his business and retires at the beginning of the novel. Being an incurable romantic he decides to celebrate the beginning of his retirement by a jaunt and runs into remarkable adventures that severely test his intellectual and physical stamina. The adventures involve a Russian princess on the run from a particularly evil Bolshevik who had been a rather unpleasant Tsarist officer, the Tsar’s jewels (though this is a side issue), an English poet by name of John Heritage, Sir Archie Roylance, one of Buchan’s reappearing heroes, slightly lame as a result of dare-devil behaviour as a Great War pilot and, above all, the Gorbals Die-Hards. The latter is a group of tough boys who live on the streets and survive by their wits until they are taken under Mr McCunn’s wing. Uncared for and discarded by society they show their courage, intelligence and superlative morals in the fight for Princess Saskia. The novel, like many others by Buchan, have little time for authorities. The police in “Huntingtower”, as everyone keeps repeating are of little use and will arrive too late as they always do. It is up to the disparate individuals to win the tremendous battle with the forces of evil. They do so through steadfastness and intelligence, although they are severely outnumbered. It is not society or the authorities who understand the goodness of the Gorbals Die-Hards but a particular individual, himself a grocer, a bourgeois, not a man highly regarded by the average Tory squire but greatly admired by Buchan. While Russia and Russians are seen as victims of the most terrible historical tragedy, there is a clear indication that Buchan and his characters feel strongly that the tragedy was brought about by the carelessness and thoughtlessness of the Russian aristocracy. Interestingly enough, Richard Usborne, in his highly entertaining “Clubland Heroes” shows himself to be far more of a Tory than Buchan. In fact, he does not exactly like Buchan, partly because his were the “clean” adventure stories that parents and teachers always approved of but partly because of his tendency to write about outsiders who make good. Usborne prefers the upper class thugs of Sapper and Dornford Yates, characters who have long been forgotten, while in one form or another (usually the wrong one) Buchan’s heroes and heroines go on, appealing to generation after generation of readers. On Tuesday 19 June the Conservative History Group is holding a speaker meeting at 6.30pm in the Grimond Room of Portcullis House at the House of Commons. Douglas Hurd will be talking about his new book on Sir Robert Peel, and Peel's relevance to the modern Conservative Party. A great composer or not? Tomorrow is the 150th anniversary of Sir Edward Elgar and the media is falling over itself to try to justify the fact that this serious and melodious composer remains so popular. It is not just the Pomp and Circumstance Marches that are loved by many but his symphonies, "Dream of Gerontius", "Enigma Variations" and many others. He is loved by musicians and singers. In a recent article Dame Janet Baker wrote excitedly about the joy of singing in the "Dream of Gerontius", the glory of that wonderful music. Sir Georg Solti was a great advocate of Elgar's music; Sir John Barbirolli conducted him; other conductors found great riches there. So what is the problem? Why this rather shame-faced apology by critics and columnists. Well, first of all, the very fact that the music is popular makes the man unacceptable to many of them. But, more importantly, there is the question of the Last Night of the Proms (boo, hiss) that rumbustious letting off of steam and display of high spirits that include a certain amount of singing of patriotic songs. Well, up with this we cannot put. The Last Night as an institution was invented not by Sir Henry Wood but by Sir Malcolm Sargent, "Flash Harry" himself. It has been changed and refined over the years and every change is greeted with dismay by the faithful and every year that does not do away with "Land of Hope and Glory" or "Rule Britannia" invokes gloom among the self-righteous and trendy commentators who see nothing wrong about display of patriotism by almost any other country except Britain. The other exception is the United States. Just like the Proms in general, with Nicholas Kenyon finally releasing his deadly grip on them, will continue to evolve and change and, one hopes, improve, so will the Last Night of the Proms that will retain much of its traditional character as well. Behind it all, there will remain the inescapable figure of Sir Edward Elgar, a man whose music is loved by many, high and low, for many different reasons. Long may that continue.